The personality of the Queen of Swords combines the positive air energy of the Swords suit with the inward focus of a Queen. You can always count on her to tell you exactly how it is. Above all else she admires honesty, and she lives by her commitment to being truthful. Lies, tricks and games are of no interest to her, but she's not easy to fool. She is experienced in the ways of the world, good and bad. The Queen of Swords can size up a situation quickly. She understands human folly, but doesn't condemn it. She knows when cow manure is being thrown around and simply finds clever ways around it. She prefers being straightforward and direct. Her observations are candid, but never hurtful. In fact, this Queen has a delightful sense of humor. She likes a good laugh and always has a witty comeback ready-to-hand. She knows that life isn't meant to be taken too seriously. The Queen of Swords is refreshing in her candor and lack of pretense. In readings, the Queen of Swords asks you to think and feel as she does. For example: Are you being completely honest? (Check this one first!) Do you see the humor in the situation? Are you getting right to the point? Have you figured out what's really going on? Are you letting yourself be fooled? This Queen can also represent a man or woman who is like her, or an atmosphere of honest, direct communication. 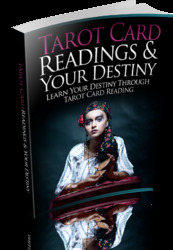 In a reading, she tells you that her special energy has meaning for you at this time. Let yourself be inspired by this Queen in whatever form she appears in your life.